Circle skirts are the epitome of Sewing 101. But since I seem to do everything backwards, I have nary a full- or even a half-circle skirt under my belt. Naturally I decided to remedy that on Easter morning, just hours before a family party. Ahem. 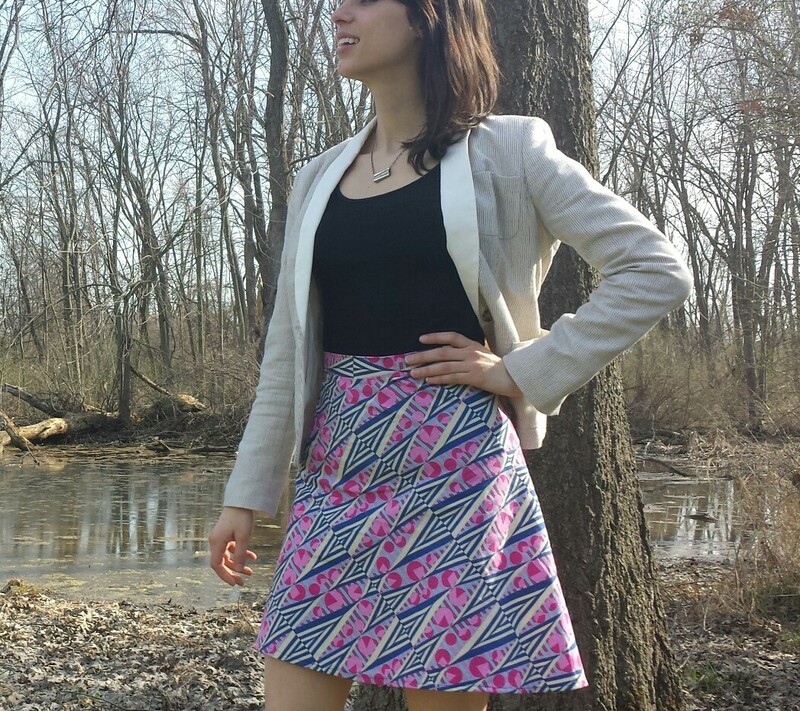 I was mentally prepared for a disaster that might result in me wearing dirty jeans and a Mars Volta T-shirt on Easter afternoon, but miraculously my new skirt turned out pretty well. To figure out how much fabric I needed and how to cut it, I used this fantastic Circle Skirt App from By Hand London. You simply choose your desired fullness and length, plug in your waist measurements, and click “Do the maths, please!” (Sidenote: Do British people say “maths”? Am I an anglophile for thinking this is kind of charming and not dumb?) Anywho, the app spits out your waist radius and the fabric length required—seam allowances included. 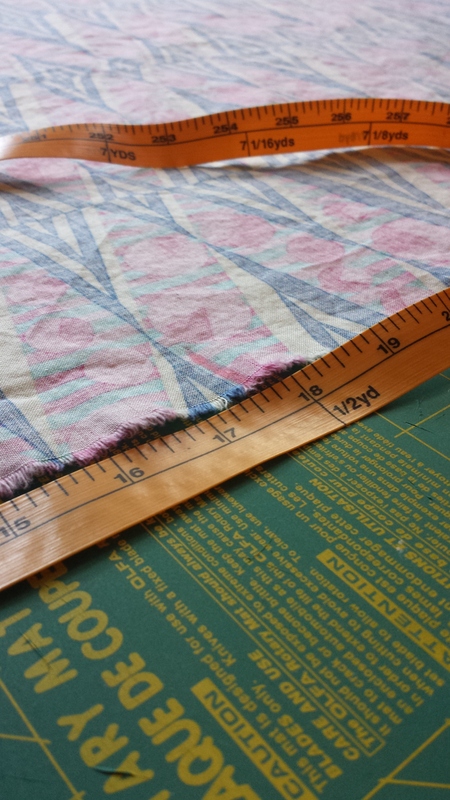 It also tells you whether or not your skirt will fit onto 45″ or 60″ wide fabric. After marking my waist radius and fabric length, I drew the arcs using a janky handmade compass—also known as a piece of twine tied around my marking pencil. I then used a combination of this youtube tutorial and this By Hand London tutorial to sew up the skirt, insert the invisible zipper, and create and attach the waistband. I went for a lapped waistband with a hook-and-eye closure. To finish up, I sewed a narrow hem all the way around. If you’re not familiar with hemming round edges, check out this super helpful Coletterie tutorial. 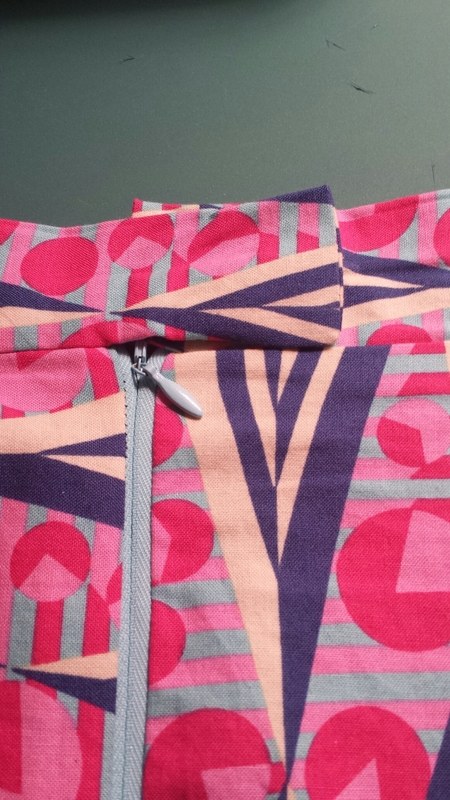 As a whole, I really love this fabric and the fall of the quarter circle. Next time I make a circle skirt (and there will be a next time), I’m going to add another 1″ or so to my waist measurement. After a big family-style meal, I was mildly afraid that my hook-and-eye was going to burst off and get lost in the lemon meringue pie. Luckily that didn’t happen. Hope you had a relaxing holiday filled with many sweets and salty meats! Have you ever made a circle skirt? Any suggestions? I thought you might get a kick out of Danielle’s latest blog entry. Awesome outfit! I love the pattern. The By Hand London measurement generator is super helpful – thanks for sharing! Your skirt looks fabulous!